If you liked Buzz since day one chances are you’ve probably clicked on those Google Buzz share buttons developed and implemented by top blogs such as Mashable and TechCrunch. You may have also used some “unofficial” follow me on Google Buzz buttons in your blogs or websites. The thing is implementing those unofficial Google Buzz buttons maybe a tedius process and may require some codings and all. But that was the case before, not until now. 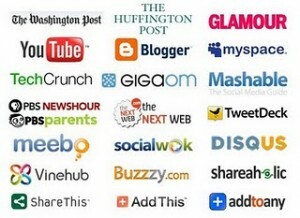 Google has just launch the official Google Buzz sharing buttons. Starting today, you’d be seeing more of those official Google Buzz share buttons on top sites which have partnered with Google. These include The Washington Post, The Huffington Post, Glamour, YouTube and others. These buttons will make it easier for you to share interesting news items you find on the Internet and post it as updates to your Google Buzz accounts. Likewise, those third-party share widgets/buttons such as Share This, Shareholic and other have also started implementing the Google Buzz button in their widgets. There you go, some new ways to spread the buzz and if you don’t like Google Buzz – add some more noise to the Buzz sphere.